A stroke patient can walk again after stem cell injection directly into the brain. Other patients can speak or are able to move their hands better. It seems as if we have completely underestimated the regenerative ability of the brain. 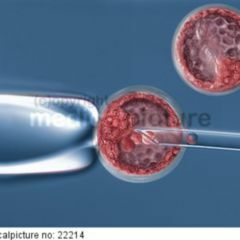 In the study designed to run two-years, a group led by Gary Steinberg, professor of neurosurgery at Stanford University in California, studied 18 subjects with respect to the safety, feasibility and efficacy of genetically modified stem cells in injection form. All the study participants were people who had suffered stroke from six months to three years earlier and whose rehabilitation had come to a plateau. The results of the finalised 12-month interim analysis were recently published in the scientific journal Stroke [Paywall]. Through the use of stem cell treatment, considerable success was able to be achieved, Steinberg reports: “A 71-year-old woman, who at the beginning of the study could only move her left thumb, can now walk and lift her arm over her head. “What’s more, with all other subjects significant progress was observed. The Fugl-Meyer Score (used in defining motor function) had improved, for example, by an average 11.4 points – an increase of more than 10 points is considered clinically relevant. “The most significant improvements were related to strength, coordination, ability to walk, the ability to use their hands and the ability to communicate”, says Steinberg. In doing the open, single-arm phase 1 / 2A study the researchers used mesenchymal stem cells derived from the bone marrow of two healthy donors. These allogeneic cells were genetically modified so that they temporarily expressed a portion of notch receptor. 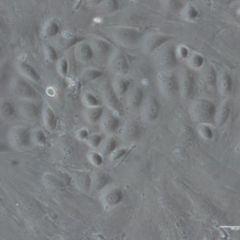 The notch signalling pathway plays an important role in particular during embryonic development, but also in the adult organism; cell differentiation, for example, is regulated by it. In each patient 2.5 × 106, 5.0 × 106 or 10 × 106 cells were then stereotactically implanted in the peri-infarct region. While scientists don’t know in detail what the cells there are exactly doing, it’s obviously not what had for a long time been assumed. 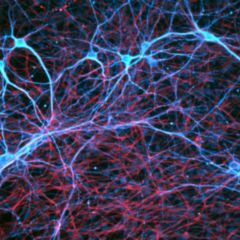 “The initial assumption was that the stem cells turn into neurons and restore the circuits”, says Steinberg. “But this is definitely not what has happened, especially not with these cells because they are cells which have been obtained from bone marrow, and they cannot be transformed into neurons. Instead, they emit very effective growth factors and angiogenic factors as well as other molecules and proteins that promote plasticity. Put simply, they transform the adult brain into the brain of a newborn, which can recover from a stroke very well”. 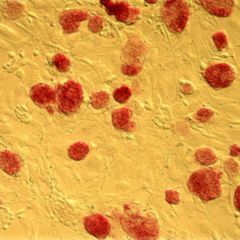 A particular feature is that the stem cells themselves are apparently rather short-lived: In animal models, the transplanted cells were only detectable in the brain for a month. The changes that they stimulate in this period, on the other hand, appear to be of a lasting nature, as the clinical treatment effects were seen even two years after implantation (the maximum observation period of the study). “This changes our whole conception of what happens after a stroke and what happens after any injury to the brain and spinal cord”, Steinberg says. “We used to think that the circuits died or were irreparably damaged after a stroke. Now we need to rethink this assumption. I personally think that the circuits end up inhibited, and that our treatment helps to reverse the inhibition”. Yet this therapy also does not come without its own shortcomings. With all participants there were side effects during the study, although these side effects appear not to be due to the stem cells. Three out of four participants, for example, suffered from headaches which occurred in connection with the surgery. Nonetheless no serious side effects occurred which would make the treatment prohibitive. Despite this, further studies involving larger numbers of participants are needed so as to confirm the safety and efficacy of this therapy. Steinberg explains that a further phase 2b study of 156 patients has already been initiated – a third of the participants will receive a sham treatment as control. Should the results be promising, there will then be a phase III trial. The study was funded by Steinberg Sanbio, a US company based in California which specialises in cell-based products for the treatment of neurological disorders. The company is however not the first to have reported positive trial results with injected stem cells: last year the British company ReNeuron announced successfully completion of a Phase I study of 11 stroke patients. The results of the so-called PISCES study have so far only been presented at conferences; an ordinary publication is still pending. This has, however, not deterred the company from beginning a Phase II study involving 21 patients. Other companies, however, are shying away from the intracranial injection and are preferably pursuing an intravenous application. About 30 such studies are currently underway, yet according to Steinberg none have had such remarkable results as the two studies in which the stem cells were implanted directly into the brain. Despite this, there are still a large number obstacles that need to be overcome, says Steinberg: “We still have much to learn, among other things which cell is the right one for the job, and what the right dose and the right mode of transmission are”. Nevertheless, he is of the opinion that this form of therapy is a real ray of hope for stroke patients – a view also held by Shamim Qadir of the British Stroke Association: “The study results are part of an increasingly broadening database, which suggests that stem cell therapies may promote rehabilitation even months or years after a stroke; this is something which gives hope to those many people who currently live with a disability”.